Do you have somebody in your life who likes the idea of brewing their own perfect pint of craft beer. Perhaps they have never brewed beer or maybe they have brewed but with kits. They might be brewing all grain and just want to understand the brewing process better to make more consistently good beer. They me even harbour a dream of going on and even setting up their own micro brewery and brewing beer as a living. What ever their stage we can provide a fun, informative course in a spectacular setting in the Peak District. For more than 160 years, Labatt has created enduring bonds with consumers as they share memorable experiences while enjoying iconic brands like Alexander Keith’s, Labatt Blue, Budweiser and Stella Artois. Labatt employees share the dream of becoming the best, most profitable beer company in a better world with their Anheuser-Busch InBev colleagues worldwide. From Newfoundland to British Columbia, Labatt’s 3,000 employees brew about 60 local and world-known beers. Anheuser-Busch InBev is the leading global brewer, managing a portfolio of more than 200 brands. At Labatt we offer unlimited career development, the opportunity to act like an owner every day and a work environment that encourages you to step out of your comfort zone. We are one of Canada’s Top 100 employers for 2018 and we want people who think disruptively, challenge the status quo and want to WIN. Are you ready to quench your thirst for brewing success? Our Supply group is responsible for brewing, packaging and shipping the famous Budweiser beer. They also oversee aluminum can manufacturing, barley fields, hop farms and a rice mill. Paramount in all of this is a commitment to safety above all else and social responsibility. 99.8% of everything that enters our breweries is either completely used in the process or recycled. We have been riding a wave of expansion in the number of microbreweries over the last 15 years but can the numbers continue to rise? Many people in the industry are predicting an almighty crash after such a dramatic boom with the number of UK microbreweries surging past the 2000 mark. For those that are still thinking about it here is some advice on microbrewery set up and here is a piece I've written recently suggesting that we are only at the start of an artisan revival of very small scale commercial brewing back to the original historic routes of brewing where every pub was a brewery. This means that far from the boom in new microbreweries being over it could mean that the real boom in microbrewery numbers has only just begun. Hi, I'm Andy Pickering, I own and operate the oldest brewpub combining the second oldest brewery in South Yorkshire based near Doncaster. I have run the place for 30 years and on reaching 60, I have decided to semi-retire. I am freehold so I could sell the equipment and premises but would prefer to see someone else carry it on if that were feasible. I wouldn't be looking for a prohibitive rent ( if that were to be a better option than sale) as I appreciate the difficulties faced, but for fresh people with new ideas I am convinced there is an opportunity superior to the usual model of renting premises on an industrial estate, investing heavily in equipment and six months down the line looking desperately for an outlet, we have them all rolled into one. There would need to be some changes to bring things to a more modern spec, I would assume there would be scope for profitable benefits all round. Looking to set up your own brewpub? A fully functional and operating microbrewery is for rent on a 3-5 year lease. Everything needed to start your own brewery is included in the rental price except your concept, branding, raw materials and recipes. This is a rare opportunity to start your own brewery with low investment. 2.5-5.0 BBL hot side brewing system with four 2.5 bbl, two 4 bbl and two 5 bbl fermentation/conditioning tanks, hop contacts in place. Pressure tanks with Key Keg filling set up. Approx 150 casks and 72 key kegs on site. Approx square meterage, Brewery 97, Cold Storage 14 with an additional 40 in communal area made up of kitchen, toilets, changing area and utility space. CCTV, Alarm and coded entry system and central heating. Unique building, 5 mins walk from a train station in Runcorn. A take away or eat on site street food concept has been put forward and accepted by environmental health. Alcohol licensing has been discussed for both on and off sales but no application has been submitted yet as it would require the renters hours of operation to do so. • Newly constructed kitchen and bar space. • Completely fitted out with equipment. Beer brewing we all know is the new rock'n'roll. Brew-School is now taking it's acclaimed all grain beer brewing courses to Bristol in the West Country and going on tour in September away from it's Bakewell HQ for the first time. The course still consists of the same top selling course teaching you to brew using the all grain ingredients and with our expert brewing tutors, in this case Tom Newman who heralds originally from the West Country and now owns and runs Lines Brew Co based in Wales. Beer brewing involves an understanding of your brewing equipment and understanding of the artistry of the brewing process and the ability to think outside the box and create your own unique beers. Then there's the drinking of all those fabulous beers...is it possible to get more rock'n'roll than that! One of the great things about running Brew-School apart from meeting lots of interesting and lovely brewers is that you get an opportunity to inspire and inform some fantastic new brewing businesses. Take for instance Portugal's newest and biggest craft beer brewery located in the Portuguese capital Lisbon called MUSA. 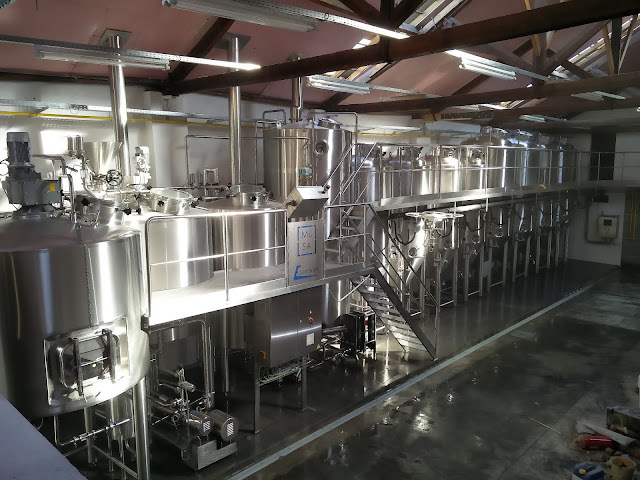 I've included an image to their new brewery looking very shiny and new. It has elapsed more than one year since I attended your fantastic courses. They were key for my beer project. Thank you! For more details on our Setting Up A Microbrewery Course. We have been contact by Richard from Outback Brewing Company looking to buy a brewery or brew kit. Any takers please contact Richard below. I'm sure he would appreciate the call. I am currently looking for a second hand 2.5BBL brew kit with at least 2 fermenters. Phone Number is below, please feel free to post on my behalf. The owners of Big Rabbit Brewery are offering for sale their award winning 12 barrel brewery, complete with an estate of plastic casks and established beer brands with recipes . 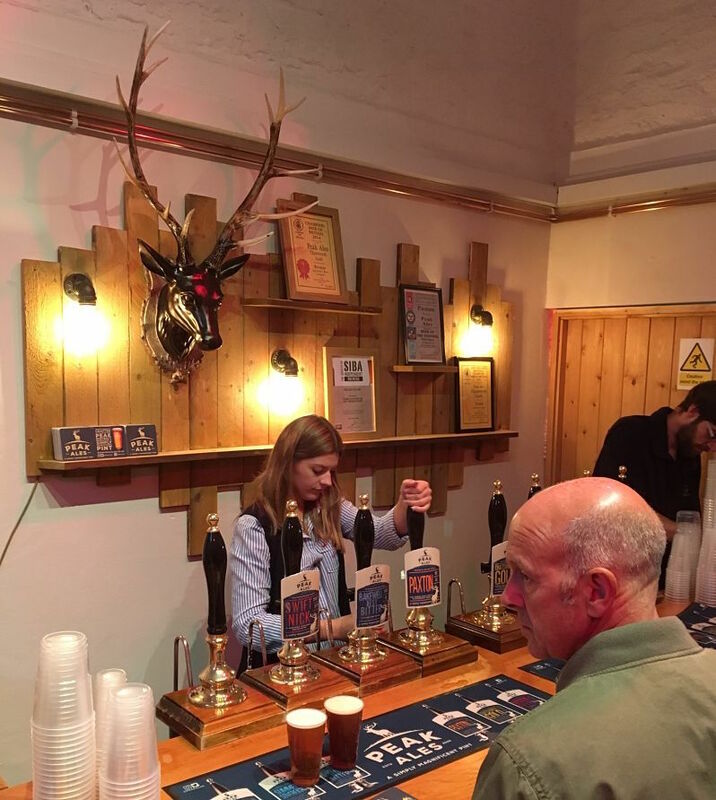 Big Rabbit Brew was established 2 years ago to complement our cider business and has been successful in gaining listings with several wholesalers and pubcos, and has also been well received in many freehouses. It has however been somewhat neglected in comparison with their cider business and so they have decided to sell Big Rabbit to concentrate solely on cider. Big Rabbit is priced to reflect that it comes with no good will or order book, however details of past wholesale listings will be provided on request, and the new owner will be formally introduced. Also, any reorders or enquiries will be passed on. Big Rabbit is a ready made microbrewery with an existing reputation, winning a YOURROUND best new brewer award, and having had successful listings with it range of cask ales. Then brewery could be taken on as a new enterprise, or by an existing brewer looking for larger kit who could run the Big Rabbit brands in conjunction with their own. For full details of the brewery for sale have a look at the PDF. The essential thing when looking at being able to purchase a brewery is being able to access brewery finance. This will give you the economic fire power to make your brewing dream a reality. Beer brewing courses - how to set up your own microbrewery? How To Become A Junior Brewer? The brewing industry continues to grow at a rapid pace! Dozens of new breweries have opened in the UK this year and analysts are predicting strong growth over the next decade. There are now more than 1,700 breweries in the United Kingdom — a figure that is increasing at a rate of about ten a month. This article will help you land your first job in the brewing industry by providing some insight into what employers are looking for in a junior brewer. What is expected of a junior brewer? What qualifications and experience are employers looking for? Employers are usually looking for candidates with a right combination of qualifications and experience. They want people who are familiar with the technical aspects of brewing and have real experience in a brewery. Here is some more information about the qualifications and experience that employers usually look for. There are many different brewing qualifications available, ranging from certificates through to postgraduate university degrees. The qualifications listed below specifically focus on brewing and packaging beer, making them perfect for a junior brewer. Brew School -- Commercial Brewing Course (Certificate) This is a 5-day course that covers all of the theoretical concepts of brewing. The course prepares students for the Institute of Brewing & Distilling (IBD) recognised examination. Brew School also offers courses in craft brewing, advanced brewing and setting up a microbrewery. Heriot Watt University offers a range of brewing and distilling courses, from short certificates available via distance learning, through to post-graduate diplomas. This part-time distance learning programme has been developed for individuals working in the brewing industry, providing a key pathway for continuing professional development. The Institute of Brewing & Distilling (IBD) is the world’s leading professional body for people working in brewing and distilling. Employers often prefer candidates who have qualifications recognised by this organisation. The IBD offer a range of qualifications from a Certificate in Brewing through to the Master Brewer qualification. 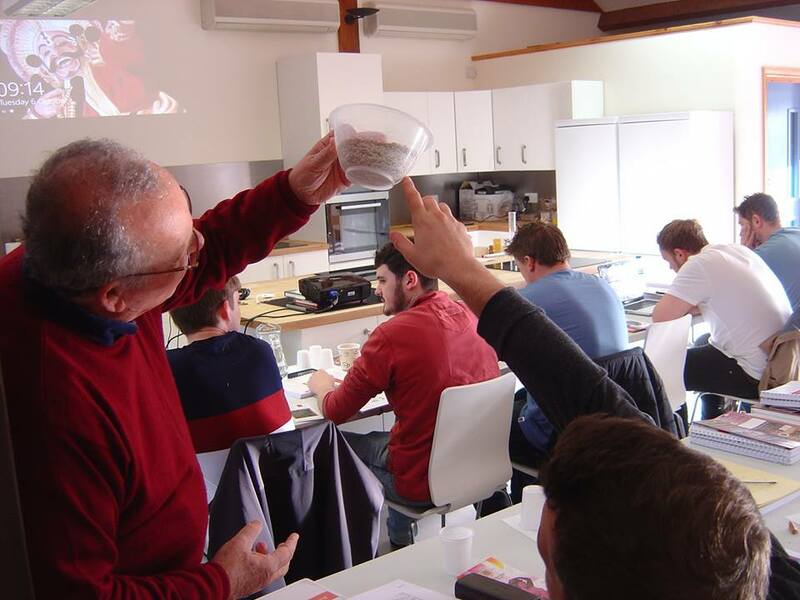 Brewlab offers a range of courses including the certificate in practical brewing, diploma in British brewing technology and the certificate in craft brew quality. While having the appropriate qualifications is useful for landing a junior brewer position, many employers have a preference for workers who also have some practical experience. In fact, many workers only make it into the junior brewer position after spending years working as an intern or an entry level brewing operator. Working as an Operator gives a person excellent knowledge of the brewing process, working conditions and the types of tasks that need to be performed. That experience is invaluable in the eyes of an employer. In many cases, employers will see any kind of food production or manufacturing experience as a substantial benefit. It shows that you know how to safely work on a production floor. From starting as an Operator you can move to more formal training and qualification and develop your career in the industry. There has never been a better time to start working in the brewing industry. There are plenty of opportunities for motivated brewers to enter the industry and make their mark!